Hello everyone! 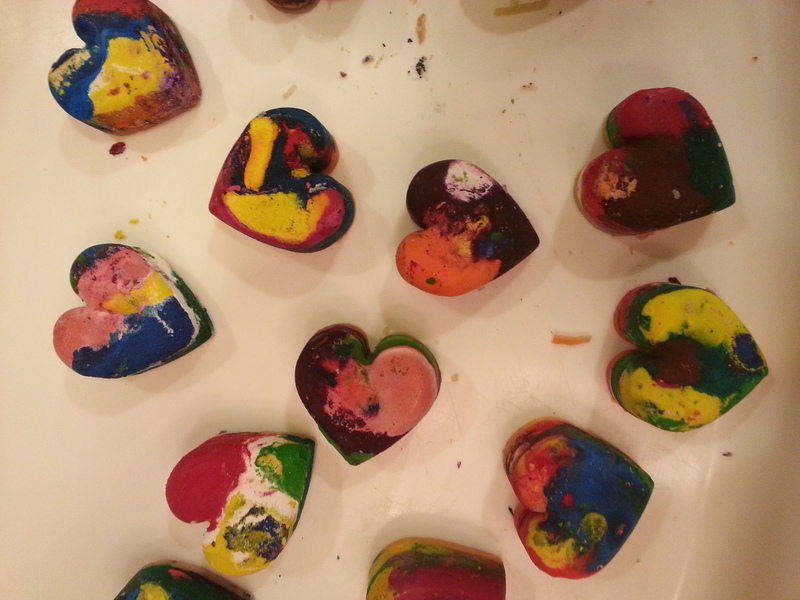 It’s Lauren from La Whimsy Writer here with another guest post. 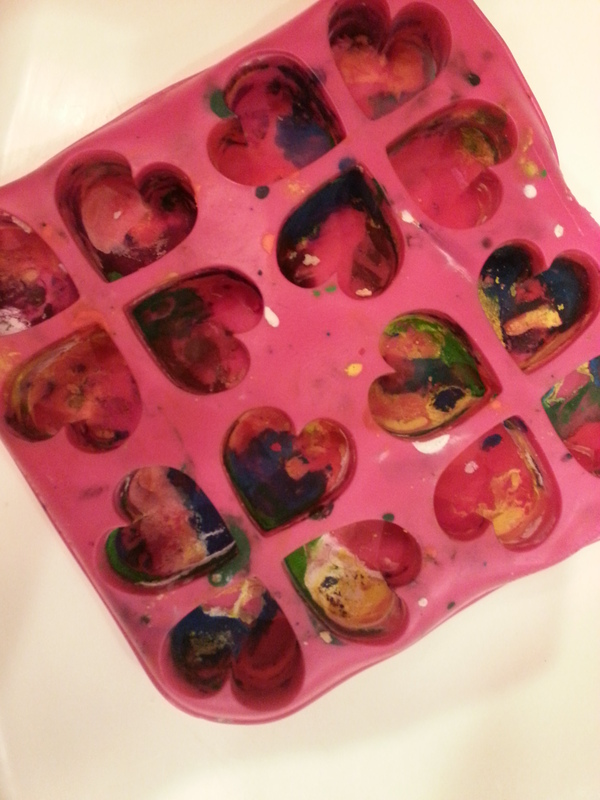 Today I have a craft project that is perfect for Valentine’s Day and kid friendly. 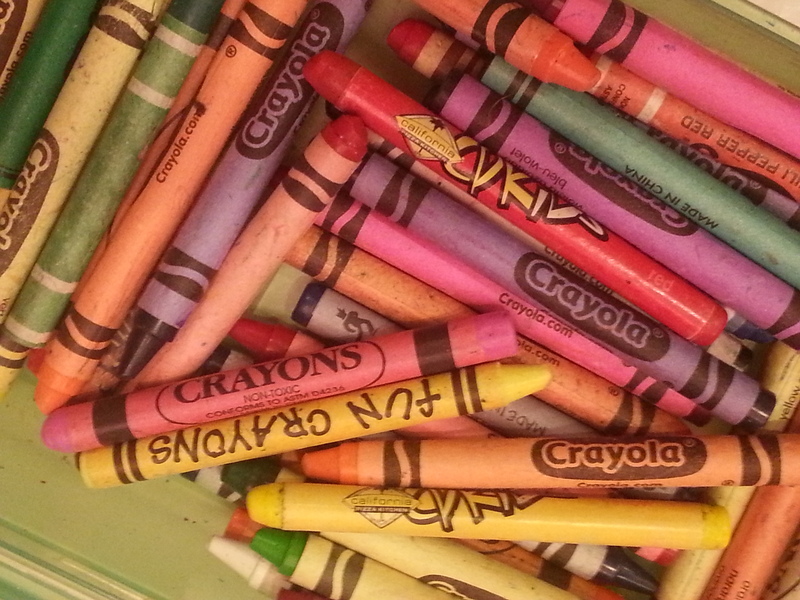 We are going to take all of the old/broken/unwanted crayons that are lying around and turn them into something amazing! 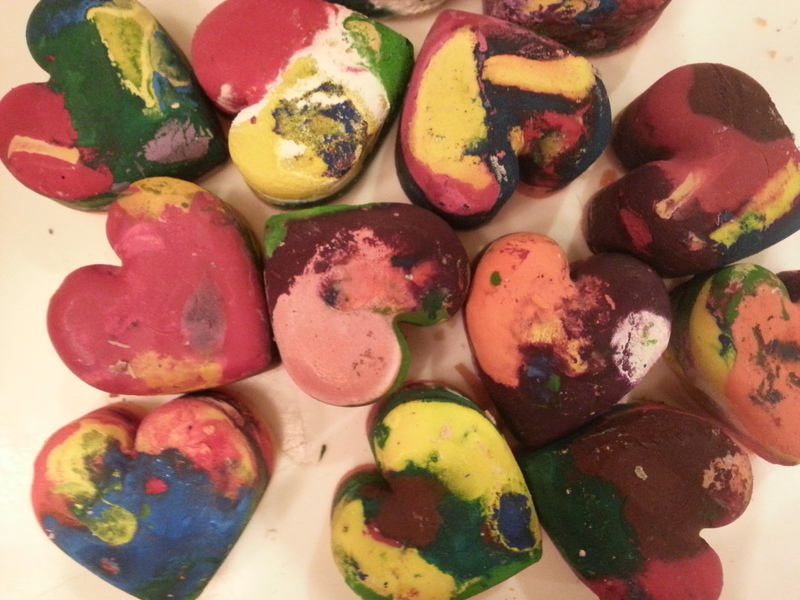 The kids can be involved in all of the parts of the craft that don’t involve the oven and they can see their old, unwanted transform themselves into something beautiful that they can give away to friends and family for Valentine’s Day. While you’re taking care of all the parts that involve heat your itty bitty one can hang out in their highchair playing with an activity book that you can store inside of The Highchair Organizer. For more lifestyle & DIY posts visit my blog, and follow me on twitter, and instagram! 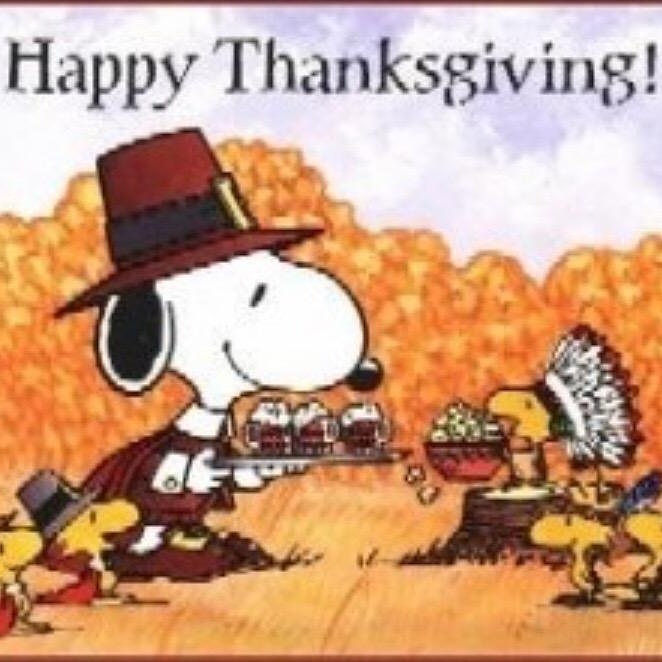 I hope everyone is having a wonderful week so far! 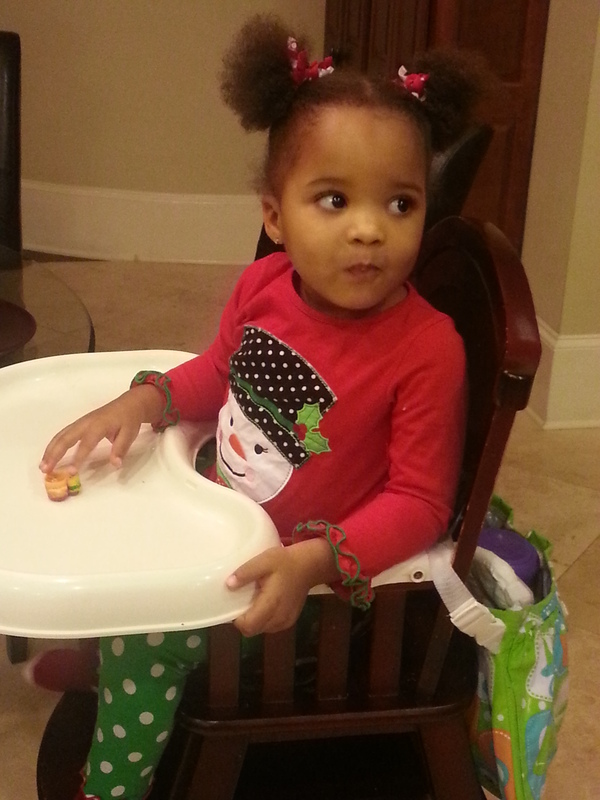 My name is Lauren Pickens and I’m so excited to be posting my second guest blog here on The HighChair Chic. You can read my first post here, which is a Healthy Eating Essentials post. You can also visit my website, where I discuss pop culture, lifestyle, and much more! 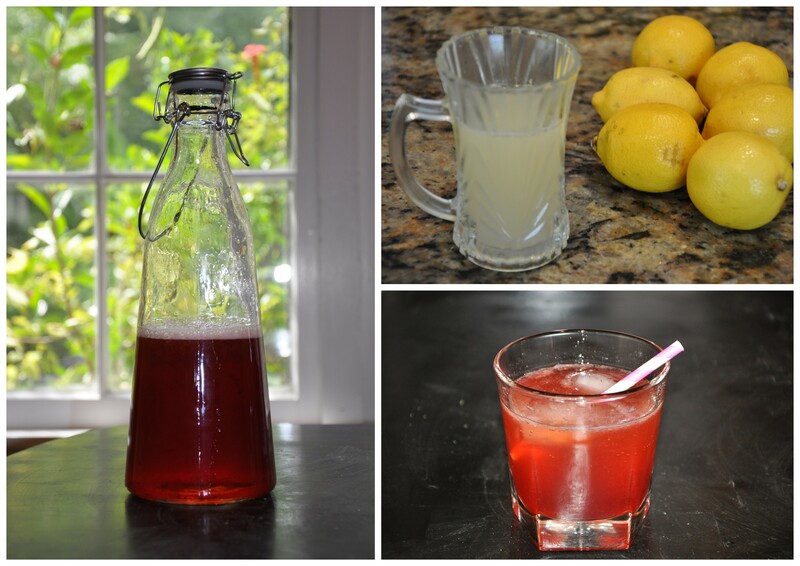 Today I will be sharing a recipe for a strawberry lemonade mocktail. 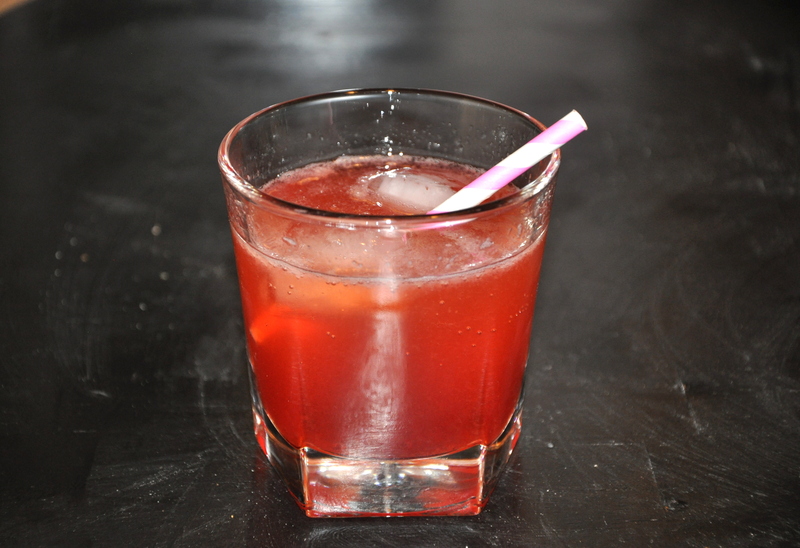 It’s super easy and a drink that you can enjoy with the whole family. The first half of the ingredients will be used to make your strawberry simple syrup. 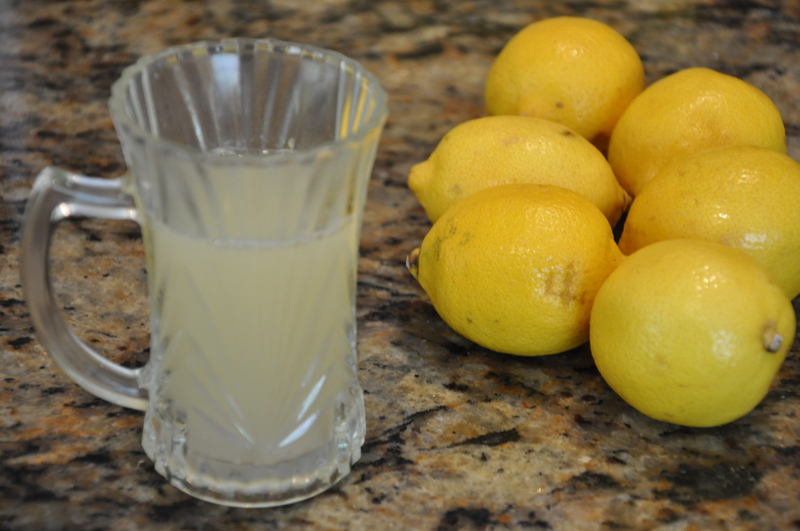 Simple syrups are used in cocktails and other drinks to give a powerful burst of flavor. Instead of using store bought syrups that are full of preservatives and chemicals, we’re going to make our own! 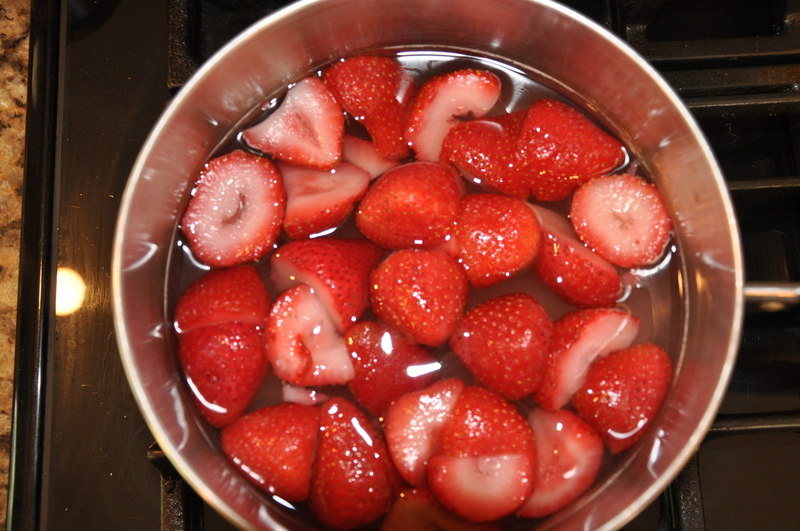 Put the strawberries, water, and sugar into a medium sized pot and bring your ingredients to a boil. Next let it simmer for around 20-25 minutes, stirring occasionally. Once you strawberries are falling apart take it off of the heat. If you are using frozen strawberries it will take about 25 minutes. 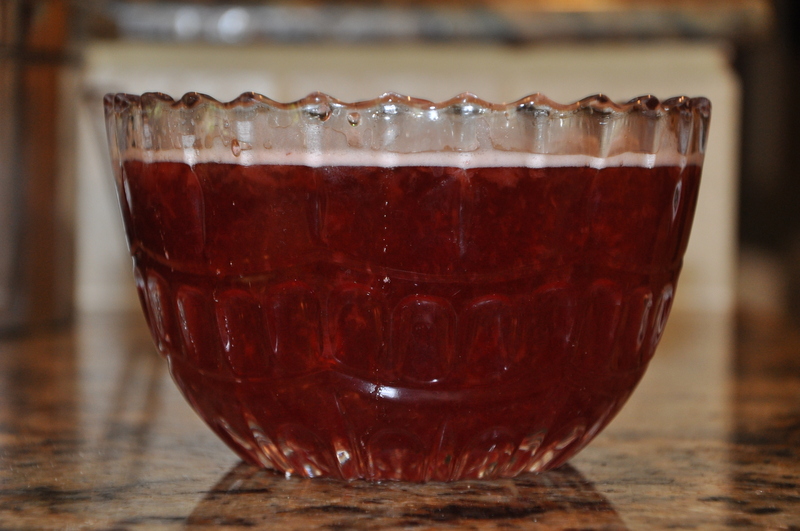 Using a strainer filter out the bits of strawberry skin and put your syrup into a bowl so that it can cool. Now your simple syrup is done! All that’s left to do is to put it in the refrigerator to cool until it is completely chilled. For me this was a few hours. Once the syrup is done cooling you can mix your drinks. You can change the portions depending on how sweet/sour you want your drink. In each of my cups I put about 4, cubes of ice, 2 tablespoons of lemon juice, 2 tablespoons of strawberry syrup, and filled the rest of the glass up with seltzer to balance out the flavors. Once you have added the ingredients use a straw or spoon to stir it and enjoy! This would be perfect for a holiday party or family night when you want to do something a little special! If you liked this post please follow my blog, twitter, and instagram for more! Are you using your highchair properly? If you do not or are not sure….listen up!! “We know that these injuries can and do happen, but we did not expect to see the kind of increase that we saw,” said study Dr. Gary Smith, director of the Center for Injury Research and Policy at Nationwide Children’s Hospital in Columbus, Ohio. While The Highchair Organizer was not tested in this study, it does however offer a solution to mom’s constant getting up and down during mealtime. Whenever you leave the highchair, you in fact leave the baby unattended and this is when accidents can happen. The Highchair Organizer stores everything needed for baby’s mealtime adventure at the highchair so moms never have to leave baby unattended in the highchair. 1. Make sure the highchair has safety straps with either a 3-point or 5-point harness. 2. Make sure it has a crotch strap. 3. When you buckle the child in, make sure the straps are attached firmly to the chair and that they’re snug around the child so he can’t wiggle out. 4. When you set up the highchair, put it in an area where the child cannot reach anything and make sure it’s away from the table or a wall or counter so they can’t kick or push the chair over. 5. Use booster seats that secure to a chair and have a tray, and make sure they are firmly attached, with no wiggle room. 6. In restaurants, make sure the highchairs or booster seats they provide have functional straps that are in working order. If they don’t, ask for one that does. 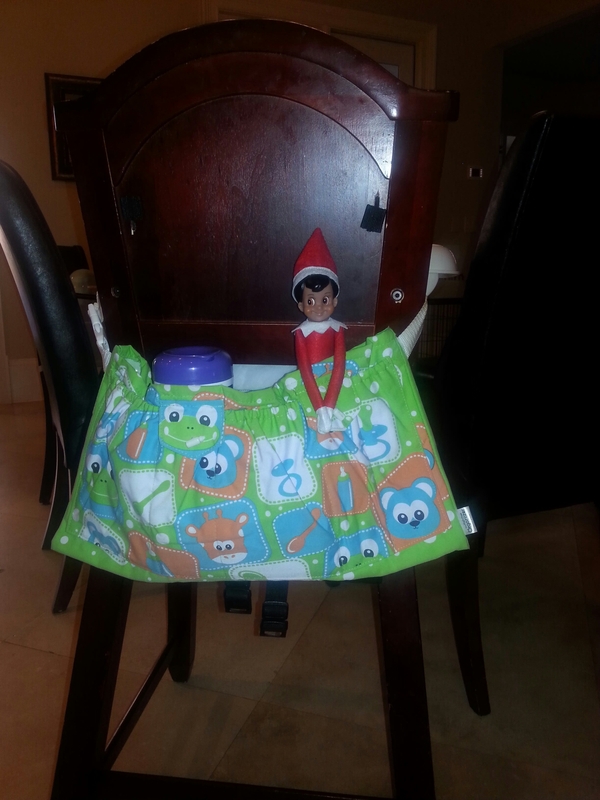 Lastly, make sure your buckle your child in their highchair and/or booster seat each and every time!! The Highchair Organizer is available on Zulily! 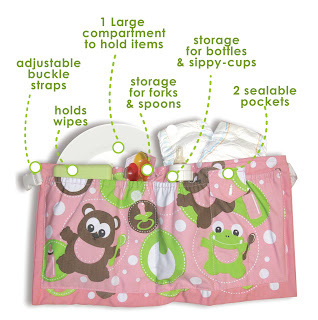 The Highchair Organizer is available on Zulily at a special price (this weekend only)!